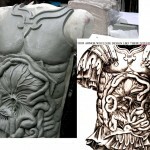 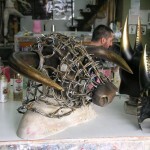 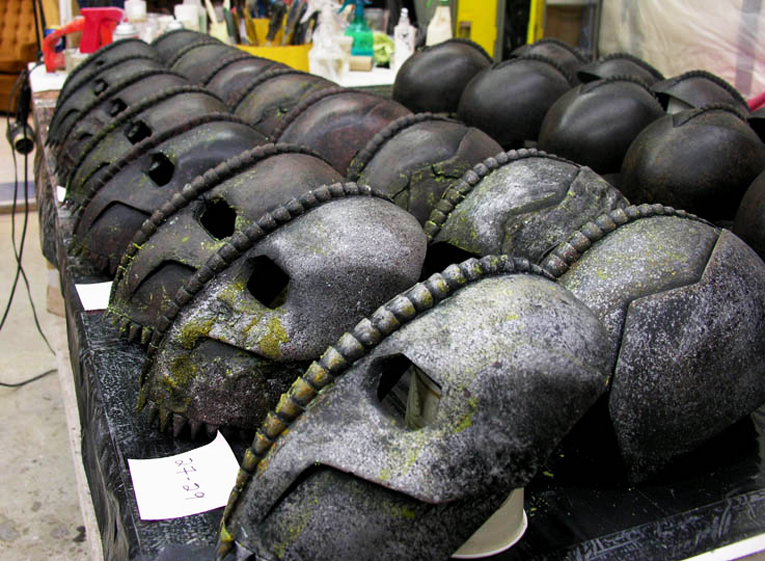 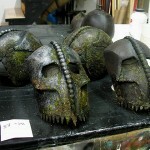 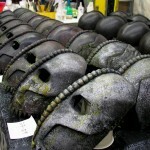 Multiple special costume props and accessories sculpted, molded, cast and prepainted for the shooting of the movie Immortals. 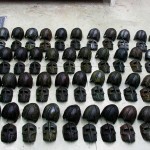 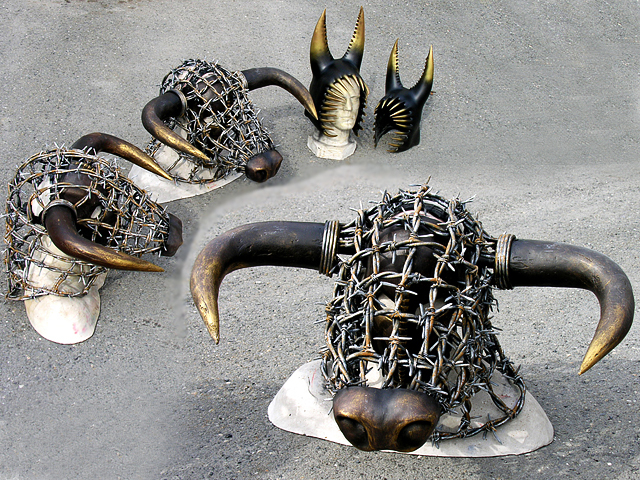 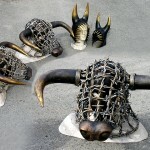 Mickey Rourke’s character, ‘Bull Giant’ and more than 200 ‘Heraklions’ masks, helmets and chest pieces were among our order list. 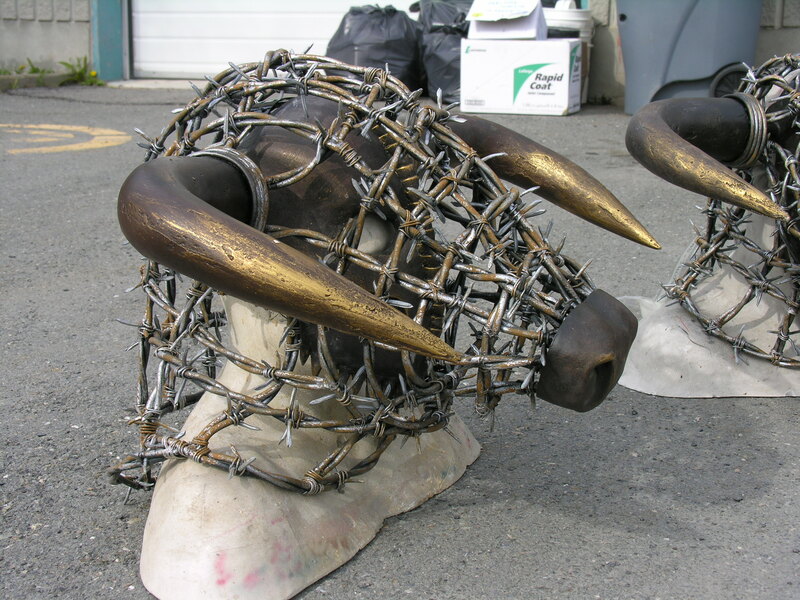 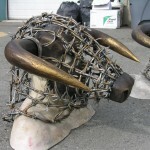 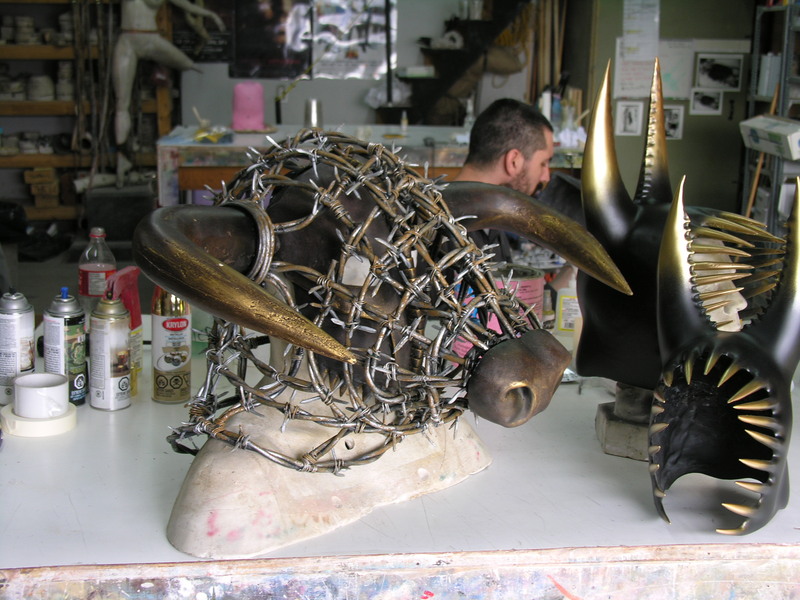 1-of-4 masks made for the shooting, including a flexible stunt one. 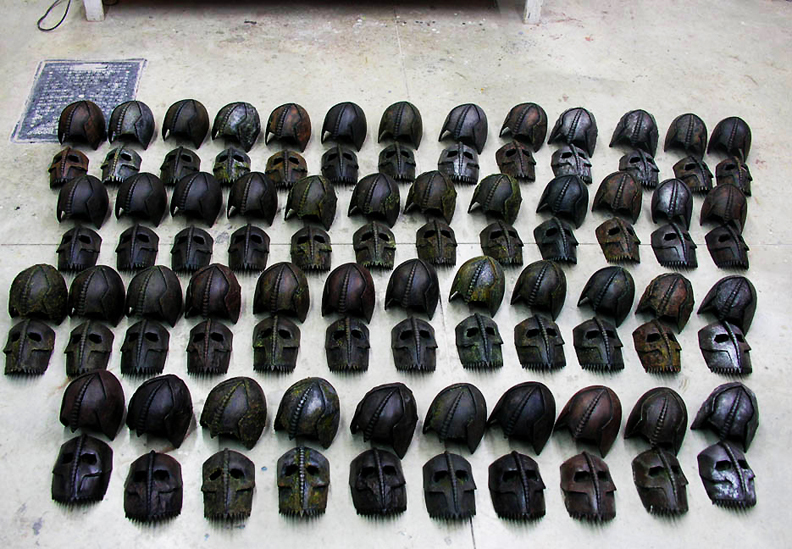 masks and helmets for the Heraklions were filling up the shop floors. 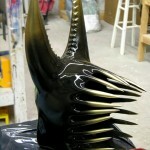 The main bad-guy helmet worn by Mickey Rourke. 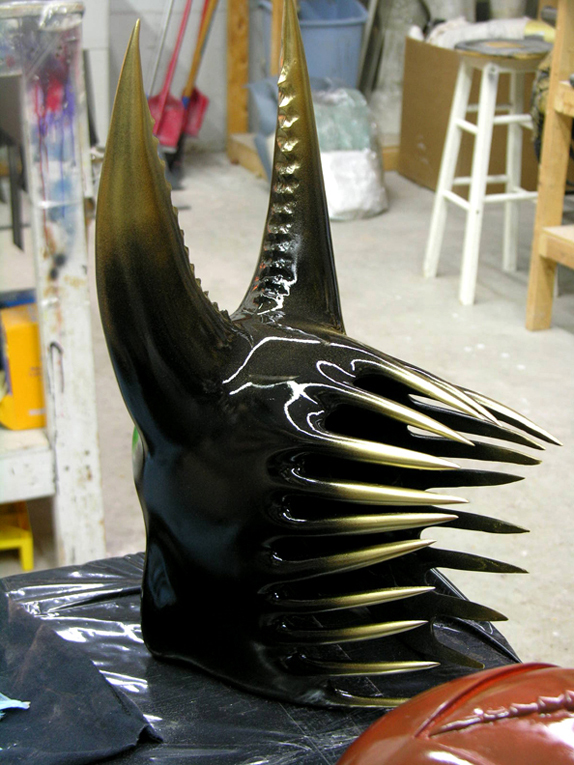 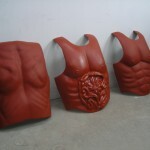 A beautiful chest piece sculpted at the shop, based on Eiko Ishioka’s references, but never used. 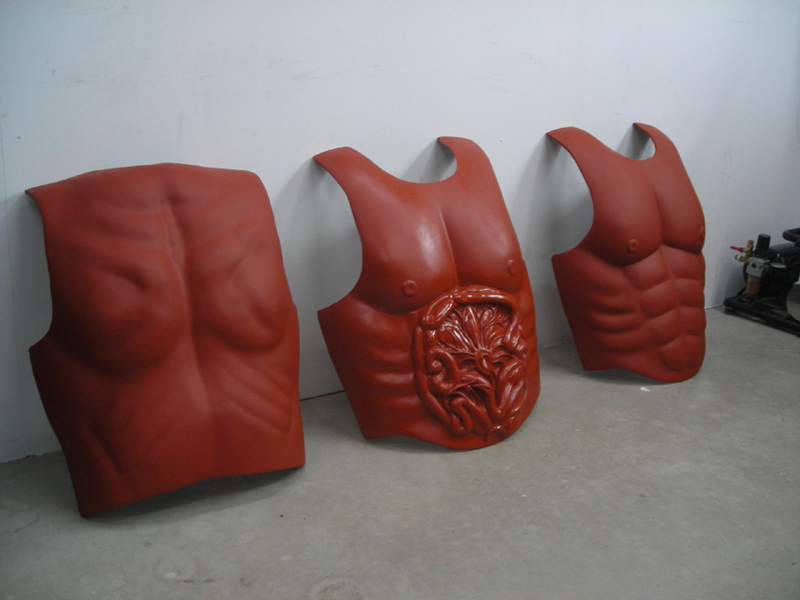 Master sculpts of the different chest and back plates. 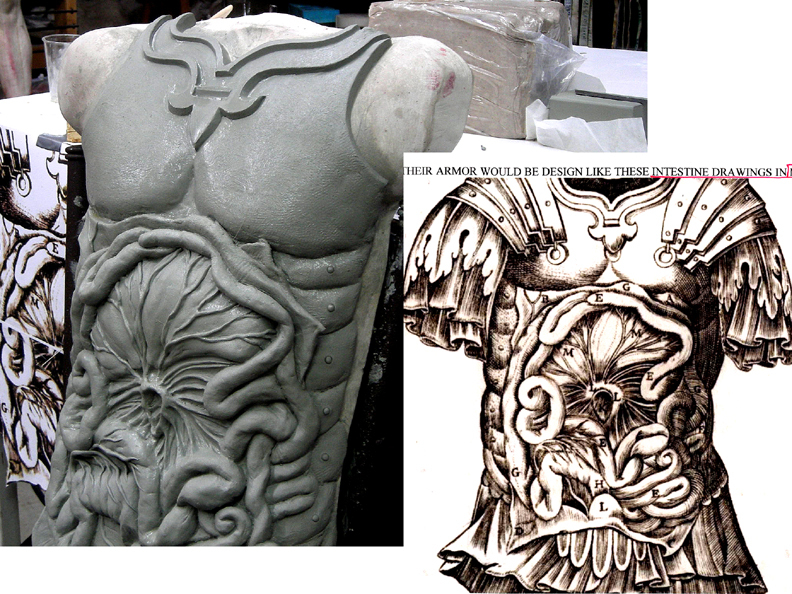 More Heraklions ‘grotesqueness’ in the painting. 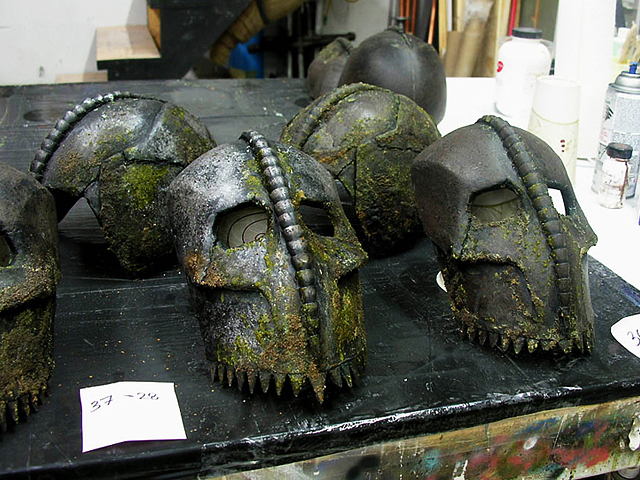 Some ‘grotesque’ touches (tx for the phrase Eiko) on the dirtier Heraklions.